Sign Up For Our Quarterly Newsletter! 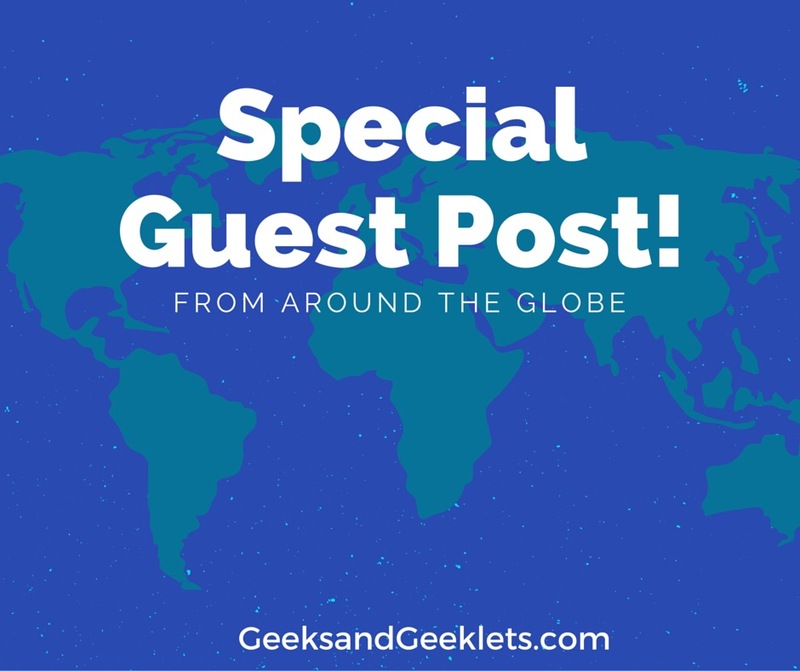 Want to Join Geeks and Geeklets? 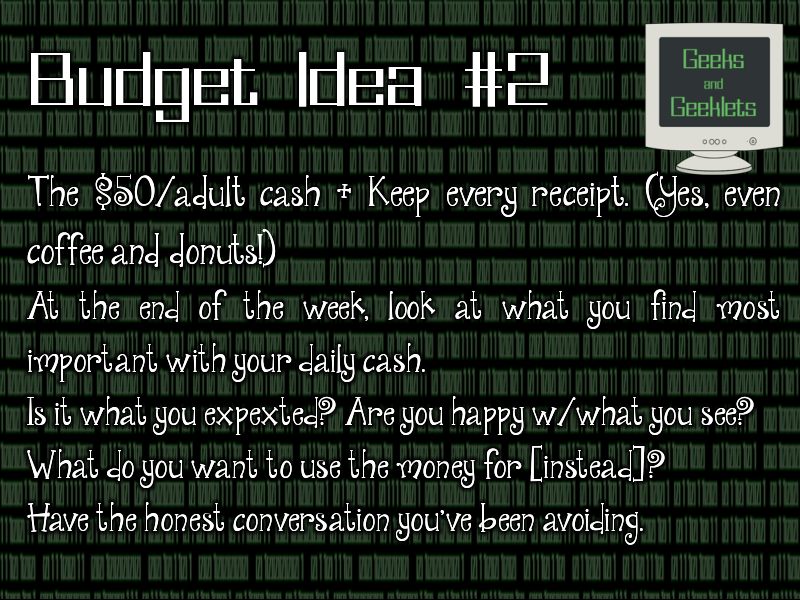 Budget Idea #2: I’d Like a Receipt for that, Please! 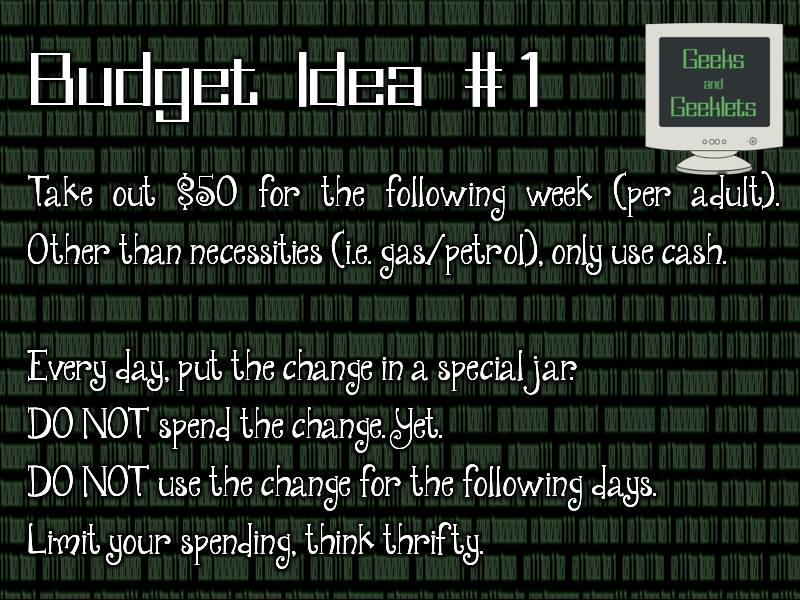 Budget Idea #1: Cash Only, Please! Greetings from the land of Azeroth. New Podcast Episode! Dungeons and Dragons Session 11! New Podcast Episode! World of Darkness Session 9! If you have any questions don't hesitate to contact us! Have a geeky day! 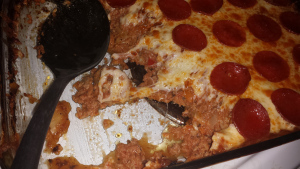 Please contact Geeks and Geeklets before reprinting any content from this site. Copyright © 2015 Gravida. Theme by SKT Themes.